Your Complimentary Press Pass to a world of news on active aging. If your job description includes staying on top of news in the 50-plus world, we’ve just made it a lot easier. Consider that there are 100 million Americans alone over 50, with a combined disposable income of $2.7 trillion. More and more are choosing to work and play longer. More and more are rejecting traditional views of what old age is supposed to look like. Supporting their participation in the active aging movement is one reason we started ICAA. An equally important part of our mission is keeping media people like you informed about the discoveries, events and trends that are transforming the active aging world. By becoming a media member of the ICAA, you will gain access to a comprehensive library of ICAA research and reports, industry news and article archives. Current participants in the program include writers and editors from the Wall Street Journal, New York Times, USA Today, Chicago Tribune, Seattle Times, Parade, Time, Newsweek, Los Angeles Times, London Times, National Post, HealthDay, Associated Press and Canadian Press. 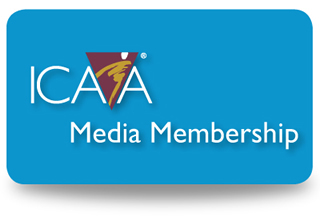 ICAA provides accredited media like these with a complimentary membership to help their writers, editors and bloggers become strong, reliable sources of news about active aging worldwide. If you would like to take advantage of this complimentary membership, simply e-mail your contact information to info@icaa.cc, or call us at 866-335-9777.